'KING OF THE MONSTERS' is an action game released by SNK in 1991. Players choose from one of the six monsters available, and battle their way across Japan in order to claim the title of strongest monster. KING OF THE MONSTERS' is an action game released by SNK in 1991. 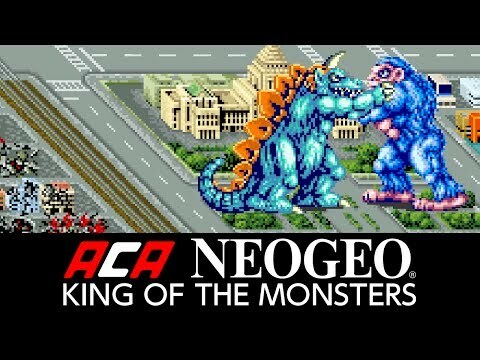 See ACA NEOGEO KING OF THE MONSTERS in Action!